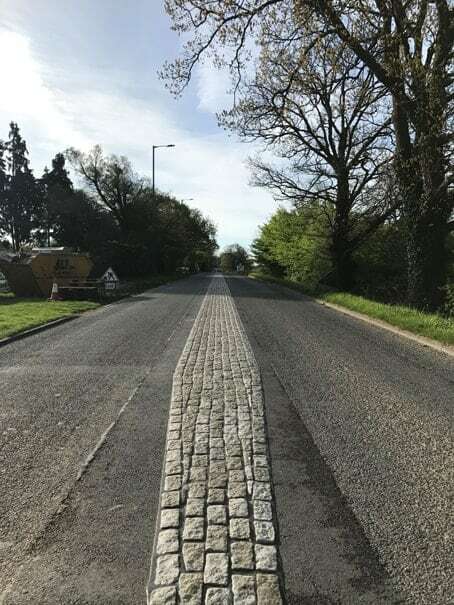 This case study covers a new housing development on the outskirts of the village, which extended the limits of the 30mph restriction. The road is straight and enters the village from a 50mph rural road. Under planning conditions, the developer was directed to effectively manage speeds into the 30mph limit. A number of options were considered, each of which were required to reduce speeds, whilst accommodate HGV traffic. Physical narrowing was rejected, yet visual narrowing was felt to be prudent. 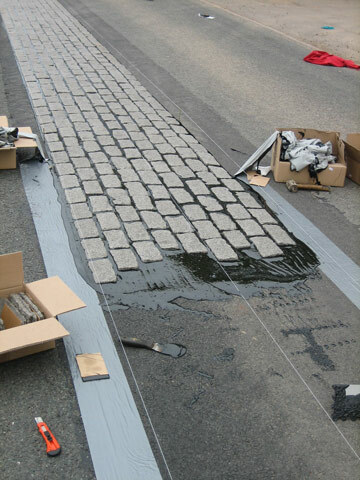 This was provided by using a 1m wide central median strip. 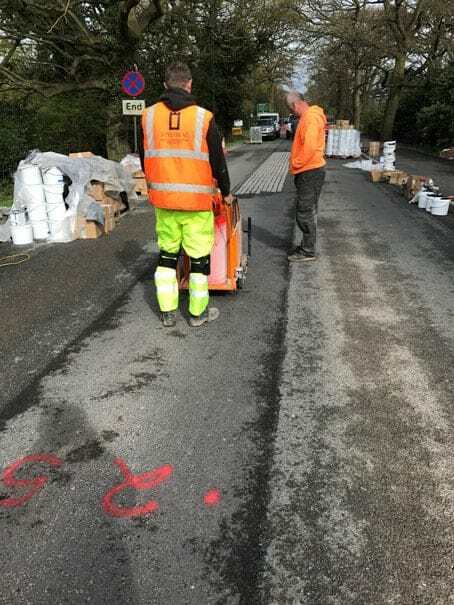 Coloured tarmac and paving blocks were evaluated before deciding on Stylesetts as a preferred option, in terms of appearance, durability and speed of fixing. 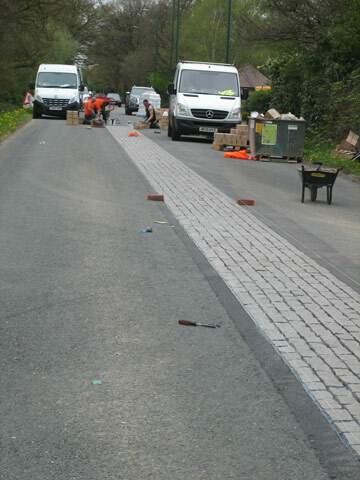 Styleseal Ltd. worked with the main contractor M.V. Kelly Ltd. South Midland Region based in Northampton. 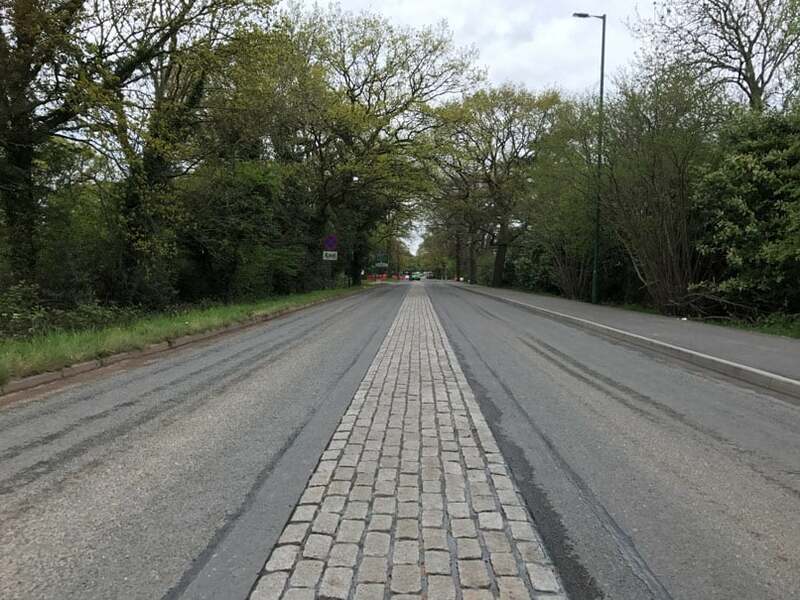 The works were planned to take 2 weeks under a road closure for the 362m long x 1m wide central strip. In practice, work took 10 days, including cutting to form tapers at each end.